SAY GOODBYE TO DAMP. FOR GOOD. We Are Pleased to Offer a Minimum of 10% Discount on Any Estimates Received from Other Damp Proofing/Remedial Work Companies Using Exactly the Same Materials, or Equivalent, and Carrying out the Work to Exactly the Same Specification. A Written Estimate and Survey Would Need to Be Seen as Often We Can Beat Other Companies’ Quotes by More Than 10%. 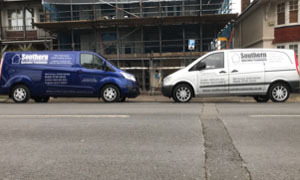 At Southern Specialist Treatments, in Burgess Hill, West Sussex, we are a treatment company that specialises in damp proofing and remedial services. Our business is family-owned, and is backed by more than 45 years of experience. We offer big company service for small company prices, which ensures that our customers get the best value for money possible. When you visit us you will be greeted and dealt with by polite, friendly, and professional staff. Contact us now to request a service regarding damp proofing and Woodworm treatment provided by our treatment company. Call us now, in Burgess Hill, West Sussex, on 01444 241410 to learn more about damp proofing by a plastering, treatment company. We are very pleased with the basement waterproofing works we had carried out by Southern Specialist Treatments. They were able to start the job quickly and carried out the work diligently, efficiently and with attention to detail. We would have no problem recommending them to others. Mark was polite and thorough in his assessment, especially as it turned out the services of Southern Specialist Treatments wouldn’t be required to sort out the issues we’re having. Mark was clear in his advice for what we’d need to do to sort out the problems, which was much appreciated. Thank you for taking the time to come round and for your honest advice. From my experience today I would recommend asking Southern Specialist Treatments to assess and quote for work required (or presumed required). If you would like to get in touch, please send your enquiry using the form below. We will respond as quickly as possible. Dampness tends to cause secondary damage to a building. 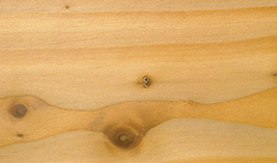 The unwanted moisture enables the growth of various fungi in wood, causing rot or mold health issues and may eventually lead to sick building syndrome. Plaster and paint deteriorate and wallpaper loosens. Stains, from the water, salts and from mold, mar surfaces.